Are the colors not completely gorgeous? 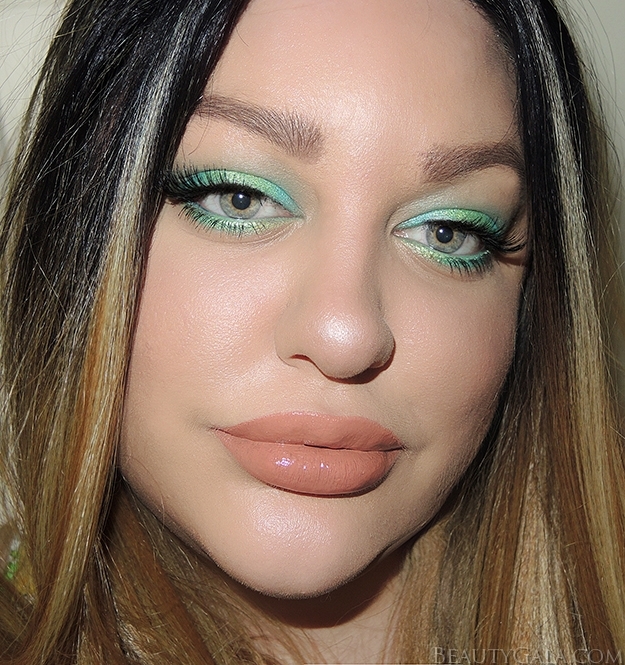 They are highly pigmented and I used absolutely no primer and no base for this look. I used the middle 3 shades only. Apply the matte teal shade (middle left) to the crease of your eye and blend upward slightly. Apply the shimmering turquoise (middle right) to your entire eyelid. 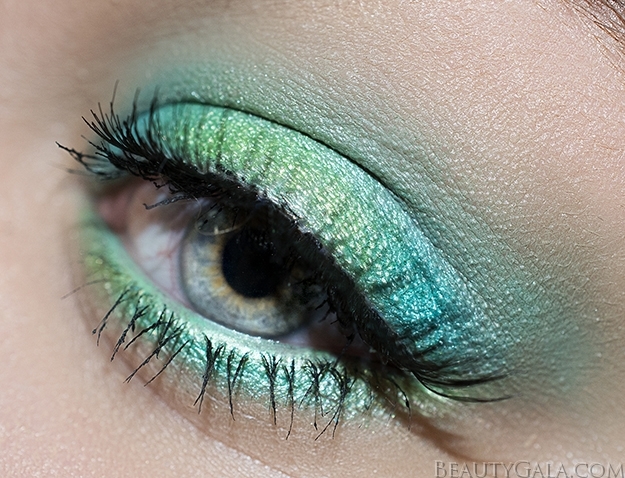 Pack the shimmering green shade (middle center) over the center of the eyelid. Also apply this shade along your lower lash-line. Go back and apply the shimmering turquoise in the center of your lower lash-line (the opposite of what we did on the eyelid). The opposing shade combinations look really cool on the eyes and the shades end up looking like a center highlight for your eyes. I was blown away by how pigmented these shades were. Usually when I apply a center color on my eyelid, I leave it blank so the eyeshadow can be as rich as possible. 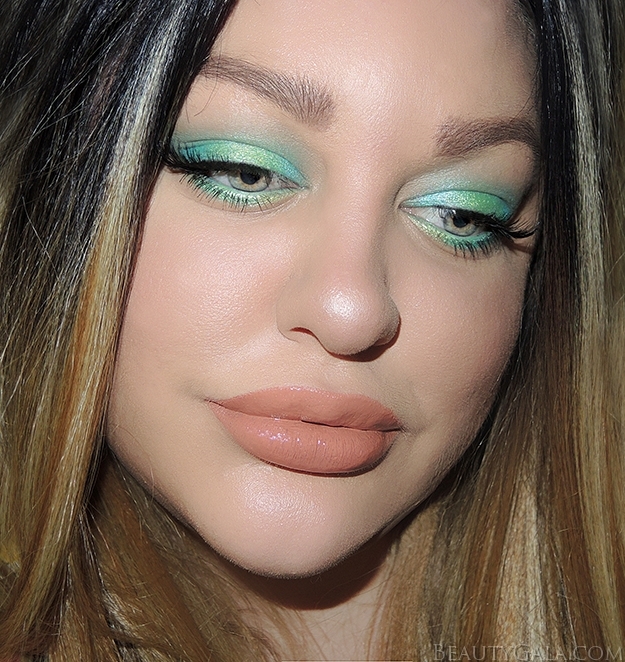 I applied that shimmering green right over top of an eyelid of turquoise and it still held its own! I am forever pairing turquoise, teal, and green shades with peach. I went with my go-to lip shade, MAC Retro Matte in “Lady-Be-Good” and used E.l.f’s Plumping Lip Gloss in “Champagne Glam” over top. 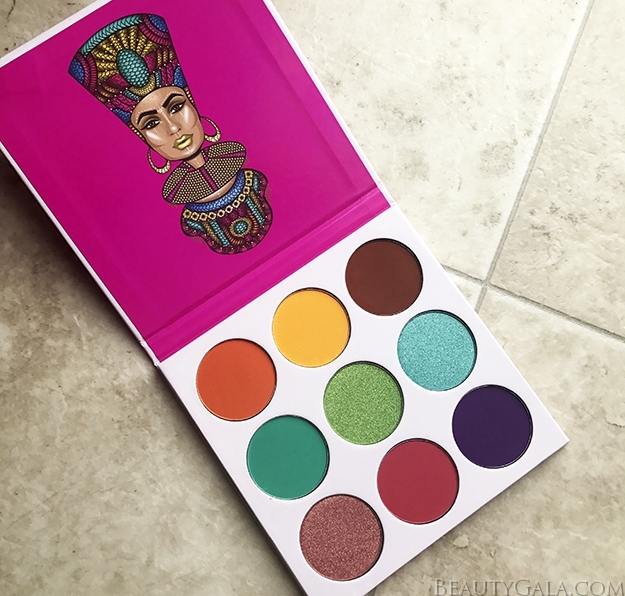 The Zulu Palette retails for $17.50USD and can be purchased online here.